Does more activity in school cause kids to be more active out of school? Nope, not according to research conducted in Great Britain. In fact, children may have a “set-point” for activity; and once reached, it may shut down a child’s further activity for the day. 206 children, ages 7-11, were followed for one week for four consecutive school terms and their activity levels measured and recorded by accelerometers–the devices currently used in video game controllers. They were set on three different physical education schedules–9.2, 2.4, or 1.7 hours per week. The accelerometers recorded the kids’ duration and intensity of activity. The researchers found that those kids most active in school were least active outside of school or at home. Those least active at school were most active when outside of school. They believe that people in general have a “personal set point” that determines their activity level, and they will tend to reach it one way or the other. 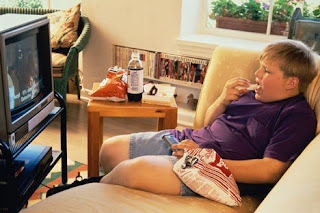 This information comes at a useful time, while public health official and educators attempt to deal with the rising obesity problem amongst children, and shoots down the assumption that more opportunities for activity will lead to just that. As co-researcher Alissa Fremeaux, from Peninsula Medical School puts it, “These findings have implications for anti-obesity policies because they challenge creating more opportunity for children to be active–by providing more playgrounds, sports facilities, and more physical education time in schools–will mean more physical activity. I think the interesting thing about these findings is that we have had this sense intuitively about activity levels being sort of personalized to each individual. But in trying to deal with obesity in general, and in children specifically, we have been searching for answers, and it may not be in activity levels at all. In fact, an earlier study this week has showed that most obesity is due to overeating, not lack of physical fitness. So bravo to the researchers looking hard at this stuff. It looks like we are getting a clearer picture.